Houses & Homes VA: Do buyers legally need to be informed that a house may be “haunted”? Do buyers legally need to be informed that a house may be “haunted”? Whether you personally believe in ghosts or not, there are many people that do. For those persons that have had previous “experiences” with the unknown, it is possible that they may have concerns about this issue when buying a new home. The question is, does a seller legally need to disclose the fact that they may have experienced some type of strange phenomenon in the home that they are now selling? As is always the case when dealing with any type of legal issue requirements can vary greatly from state to state and even within local municipalities. The law (in most jurisdictions) does, however, require disclosure to potential buyers of what is known as a “stigmatized” property. This would include properties with a “notable” history, even if it is a good one. For example, if the home for sale was once owned by Edgar Allen Poe the seller would need to inform buyers of this fact. Why? Because the new homeowners may have a lot of sightseers “gawking” at their home which could be quite unsettling and may even affect the value of the home. Following are some other conditions that may require a disclosure statement from the seller. Murder/Suicide – some states require that a disclosure statement be issued to potential buyers if a home was the site of a murder or suicide. Again, this varies from state to state. Criminal Activity – The vast majority of states require that any property formerly used for criminal purposes (such as a brothel, illegal drug lab, etc) be disclosed to potential buyers. This makes perfect sense since neighbors will be aware of the property’s history and may be suspicious of the new owners. This could also affect the perceived value of the home. Previous Debt “Problems” – If the previous owners of a property had serious financial difficulties it is possible that the new owners will be “harassed” by debt collectors unaware of the change of ownership. This is actually fairly common and the new owners should be informed of this possibility. Strange “Phenomenon” – This is the one that we are interested in. Many (but not all) jurisdictions require disclosure if a home for sale is generally believed to be “haunted” or the site of ghost sightings. To fit this criteria the home must be widely perceived by the public as being the site of a haunting. Again, the reason for this disclosure is the fact that the future value of the home (and ability to sell it) may be greatly affected by its reputation. A survey conducted by Realtor.com addressed this very topic with a survey of over 1,900 people. 32% percent of the respondents said that they would consider buying a “haunted” home. Perhaps more surprising was the fact that more than 50% of them stated that they would be willing to live in a home with “warm or cold spots”. 41% stated that they would be willing to buy a home that was reportedly haunted and 36% of those surveyed even stated that levitating objects would not bother them! The important thing to note however is that only 15% of those willing to purchase a home with strange phenomenon would be willing to pay full price and 19% would only be willing to buy at a steep discount of between 31% and 50%. 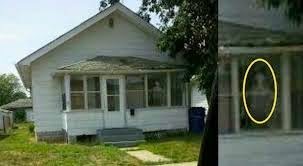 This is why disclosure of a “haunted” home is required in many jurisdictions. Whether the buyer is a believer or not the value of the home can be greatly affected by the property’s reputation.